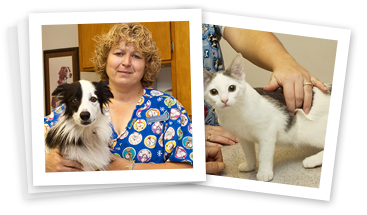 Animal Medical Center of Jefferson City is a full-service veterinary hospital serving cats, dogs, birds, reptiles and small mammals of all ages and stages. We are an accredited member of the American Animal Hospital Association (AAHA) and strive to consistently provide your pet with the best possible medical service in a caring atmosphere. 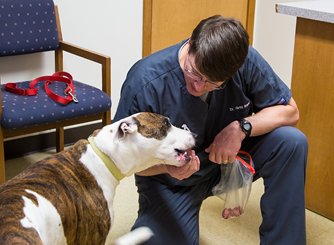 We focus on quality healing and preventive veterinary care in Jefferson City, but also boast state-of-the-art anesthetic and monitoring technology, advanced orthopedic surgical systems and intensive care, and diagnostic services via advanced diagnostic technology and in-house laboratory. We even offer boarding and bathing services to provide your pet with complete veterinary care all under one roof. For the convenience of clients, we offer pull-around parking and assistance getting pets into the hospital if needed. Please take a few minutes to browse through the hospital's services and then give us a call to schedule an appointment today!